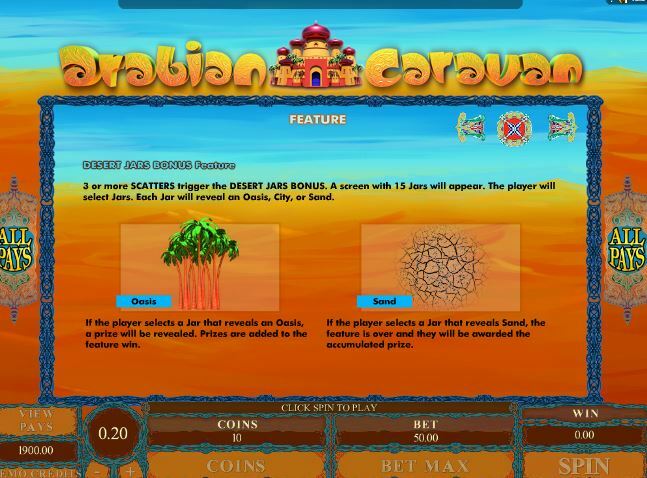 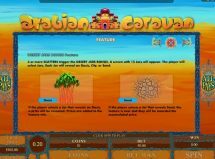 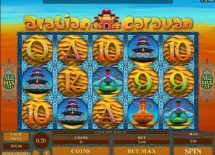 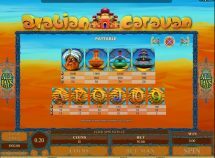 Arabian Caravan slot is an original Genesis Gaming title featuring 243-ways and predictably a desert theme. 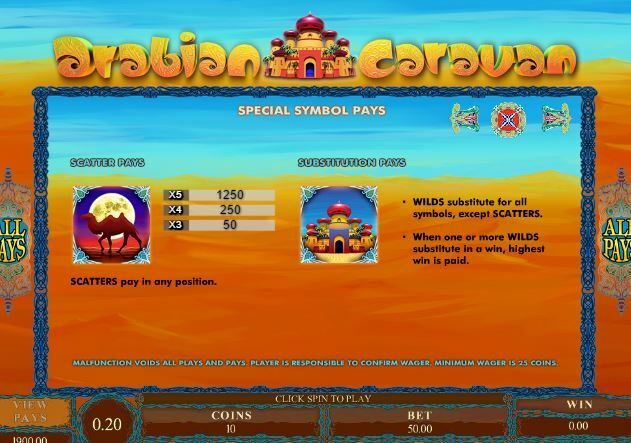 There are Wilds and scatters in the form of a camel which will trigger a bonus game with 3 or more in view. 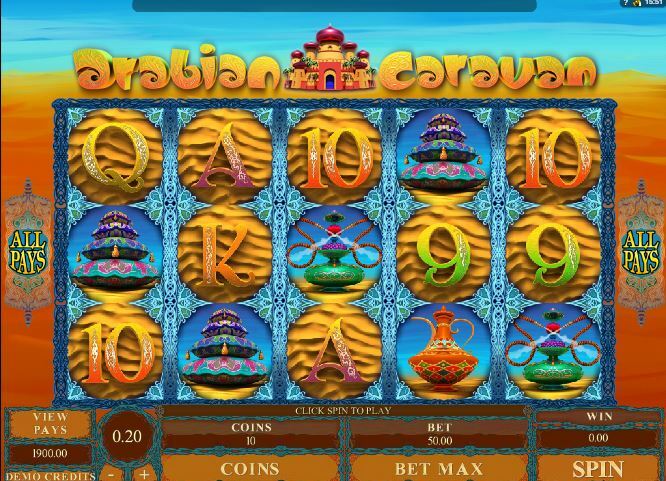 Alas no free spins, it’s a pick-me of jars in which oasis means a prize, city a multiplier and sand ends it. 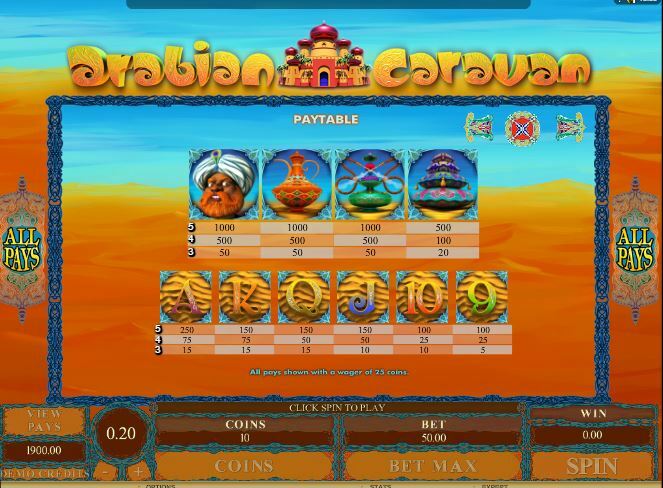 RTP of 93.98% isn’t the best, but only 20 coins to play a 243-way slot is decent.